I guess I get to start the 224 Valkyrie reloading thread! 18" Rock Creek arrived from Rainier Arms. This barrel has a rifle +1" gas system with a port size around .095". I got it installed on a BCM upper and used a Sentry 7 adjustable gas block. Opened it to click number 7 and started velocity testing. 2605,2598,2565,2596,2602=2593 16/40 minus the slow shot that would have been awesome! 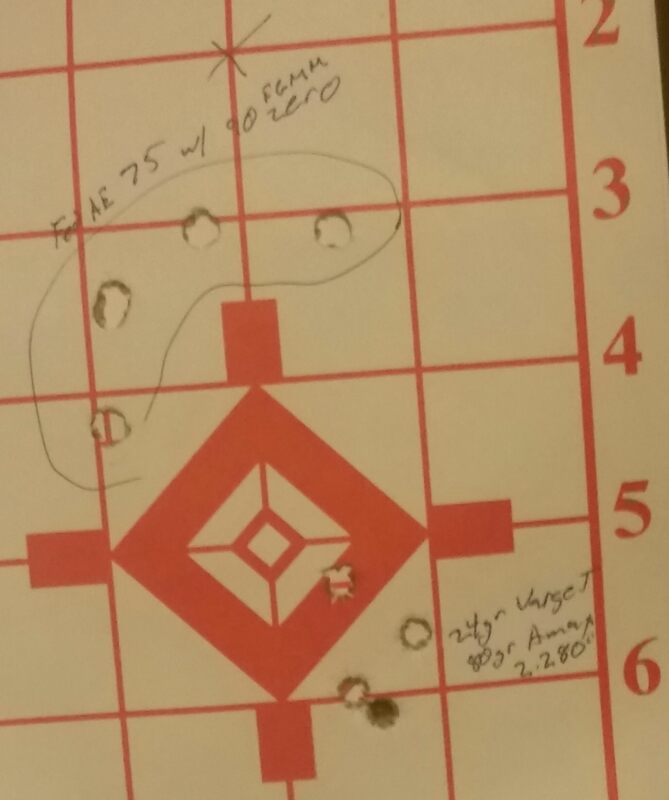 90gr smk loaded to 2.29" with Varget two shots only. pressure started to show on 24.5 and was quite heavy at 25.5, my buffer is a standard buffer (original 1st gen JP SCS) so I ordered JP's new gen 2 H2 SCS buffer kit. This will likely allow 24.5 to be fired fine and will also stop the slight ejector marks I saw on the factory ammo. Using my lyman borecam, the barrel is a cut rifled barrel. 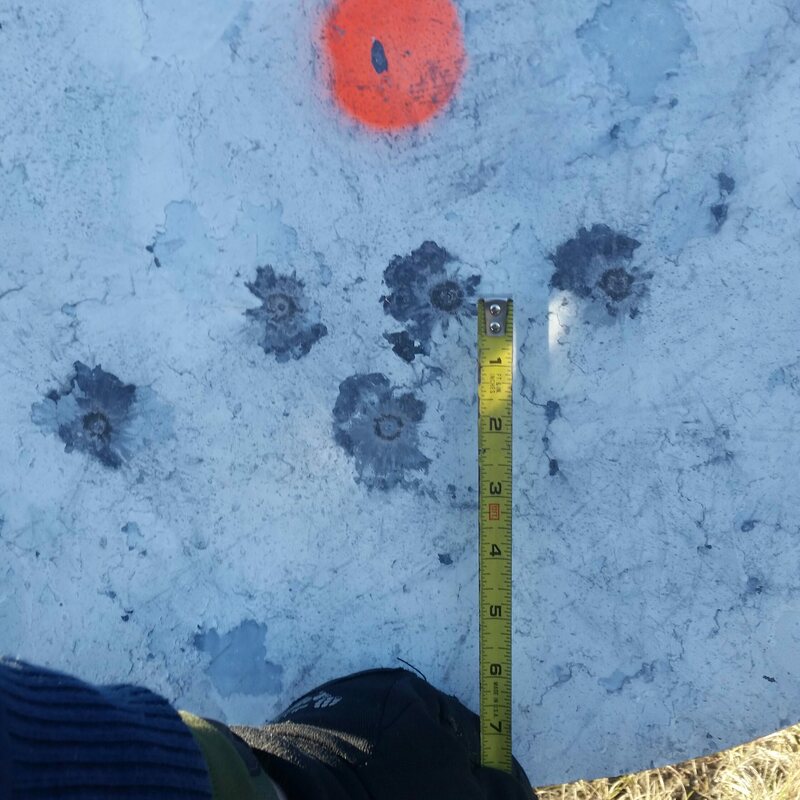 There was just one slight burr in the area where the lands start and after firing and clean the bore at 20 rounds the burr was gone. This barrel finishes up nicely with a 15" forearm and keeps the gas block just out of sight. Once my H2 buffer arrives I'll shoot more. Given the velocity with the 90 grain bullets, I'd bet I'll be in the mid to upper 2600's with 80 gr A-Max. Which is what I plan to run in this barrel mostly as a coyote killer. Goes to show you Rocks are fast! It's hard leaving a new toy alone... Went out and tested 80 A-Max before getting the H2 buffer. Bullet seated at 2.290, Varget powder. only the 25 grain charge showed slight ejector swipes and I believe these will easily disappear once the H2 arrives. Wow I wonder what a 24inch barrel will do with same charges and with slower powder. Me too. With a longer barrel, and everything else the same, it seems the 22" barrels are running 90's about 150-170fps faster... a 24" and slower powder may be quite awesome! No handloads, but I thought I'd share. A third of a moa vertical isn't bad. These were 90 gr FGMM. The litz profile on JBM seemed to be a better fit at 600. 43 degrees 29.36 station pressure for around -300'da, I dialed up 4.5 mil and needed 4.7... I'd bet the ammo slower down a bit from the 70 degrees I tested it at. I tested Varget 24.4-25.2 in .2gr steps with 80 A-max and happened to load 4 extra left over brass with 24 grains to help get my zero on paper. as it turned out all the groups that I tested from 24.4-25 opened up substantially, at 25.2 they started to tighten back up but that is hotter than I care to run based off the ejector signs on the case head. So I will be testing 23.8, 24.0 & 24.2 next. is Varget compressing? I wonder if RL15 might get you a bit more MV with a little less pressure? There was no sign or sound of compression until 25.2 with this bullet and seating depth. At that, 25.2 was barely perceivable. When I was loading 90's with varget at 24-25 I could tell that was compressing but not enough to cause differences in seating depth yet. I'm curious what you could achieve with something like rl15 or N540. I live Varget, but it does tend to show pressure quicker than rl15. It shoots so damn good with CCI450Ms or 205s I have a hard time not using it for half my rifles. I'll add that to the list to test next time at the range. Thinking of starting at 21.5 and working up. Headstamps looked good. Be careful with the AR Comp. I loaded some 77s with a standard Varget or rl15 load and primers dropped out of the cases when they ejected. Do you know how much jump you have with that COAL? @FOHA1 no I don't, the lead/freebore in this barrel appears to be quite long. I loaded one to 2.325 and did a test fit and it still had no land impressions on my sharpie coated bullet so I just loaded it to 2.280. On a different note, I pulled some of my 75 TMJ bullets from Federal AE and replaced them with 75 grain Amax at different lengths and this was the result. Even with the trigger issues I noted above it appears there is a node at or very near 22.8 & 23.2 grain of AC-Comp using 80 A-max. This powder was not able to reliably feed using my JP SCS H2 gen 2 buffer/spring combo, it would only push the BCG back enough to eject. Brass case heads were nice and clean, no ejector marks present. I'll try 22.8 & 23.2-23.4 again with my standard weight JP SCS. All groups were 5 shots, I had a couple one holers. This was for pressure and velocity only. Next will be a group test. I just preformed a test fit using a blackend 80 grain A-max and it would appear 2.325" is the coal that touchs the lands or about 1.790 base to ojive. So the test loads would have been jumping .045"
The next batch I'll seat to 2.3" and see how thay shoot. Given the press fit method used, these measurements are likely +.020" into the lands of my 18" Rock Creek barrel. I have no idea what the reamer spec's were so your barrel is likely different. I am using a dial caliper so take 1" off the ogive measurement. I just picked up a 22" barrel, JP enhanced bolt, 8 lbs of varget and a couple hundred Berger 90gr bullets. Will someone with QL please run a pressure test load analysis with a 22" barrel, varget and berger 90gr VLDs for me? Thanks in advance. The sierra link above has data for 90 grain bullets and Varget, that will get you started. I might be on to something here, I'll play with seating depth next to see of I can tighten it up a bit. I just built a upper with this same barrel Cool to see a reloading thread started. 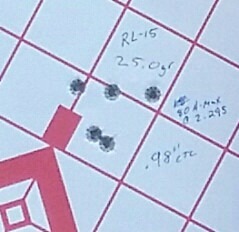 I also fired a load test of RL15 under 75 amax from 24.8-25.6 and again 25gr was the clear winner. I had much lower gas pressure compared to the 80s and 90s so I'd bet I could continue higher as there is likely a node around 25.8-26gr mark. If I had to guess velocity should be around the high 2700s with 25gr putting 26 somewhere in the low to mid 2800s. 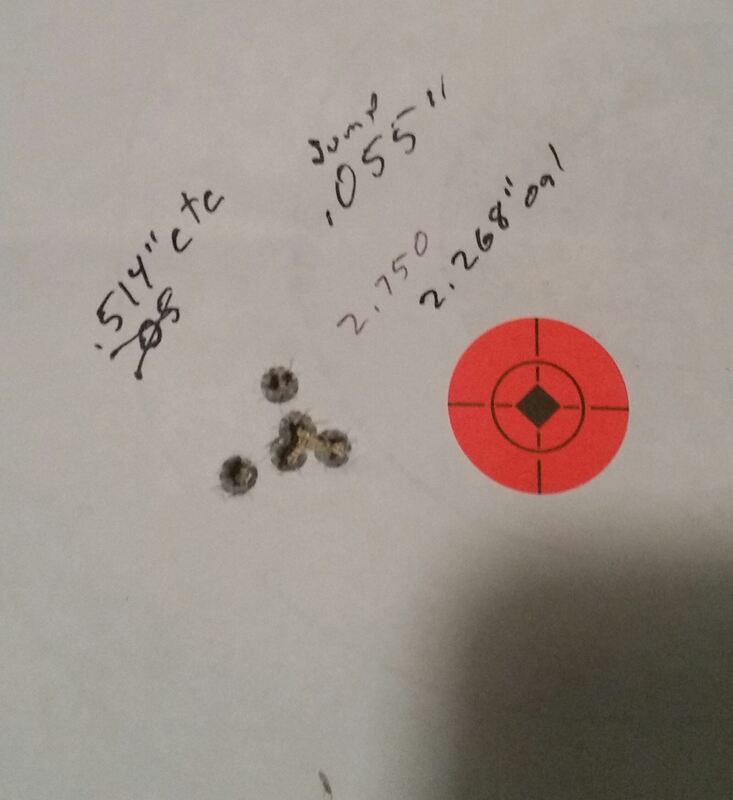 Not bad considering this is an 18" barrel. One more thing, I am impressed with L.E. Wilson. I contacted them about obtaining a 224 Valkyrie trimming die and was told to send in three empty cartridge cases with a check for 31.50... Sent them in Monday priority mail from MI to WA, it arrived Thursday and my die and cases were in Thursday's mail back to me! It arrived Saturday and works great! Thanks L.E. Wilson! 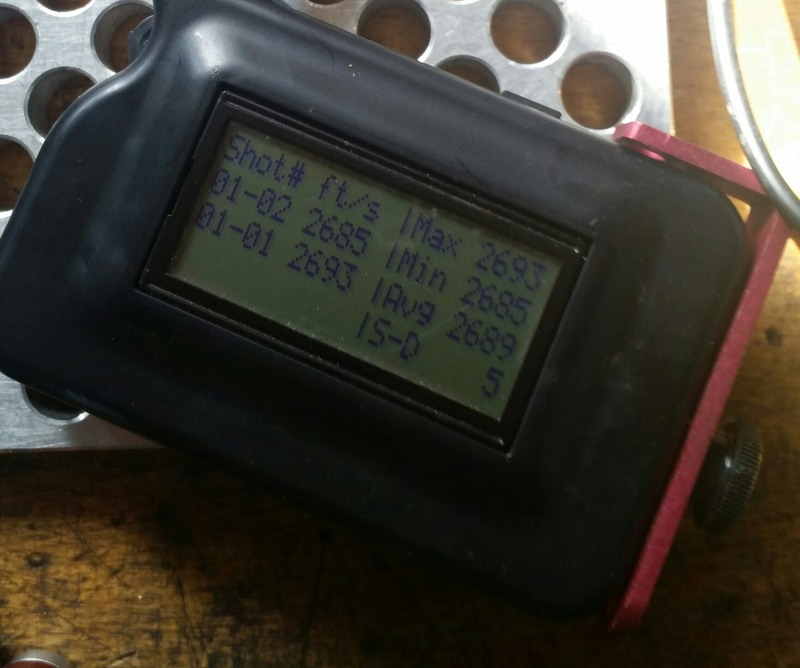 Checked velocity today, my good shooting 25gr RL-15 under 75 ELD (just got some in since I'm about out of A-max) is turning in 2771fps, I also shot 3 at 25.8 which is where the next node may be and it was running 2910fps. 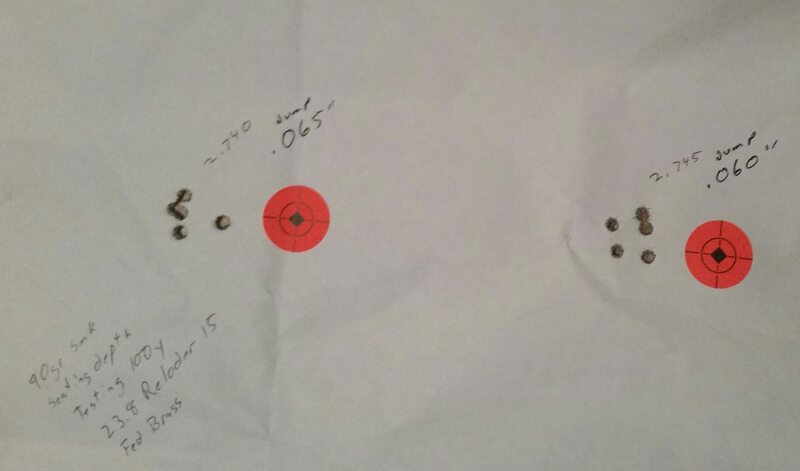 While I didnt see pressure signs, a 140fps jump over .8 of a grain has me second guessing going above 25gr. No apparent pressure signs on any of the case heads. This is a 18" rock creek barrel. I doubt I'd be able to get much more than a grain above 27 inside the case and seat the bullet without significant crunch. At 27 grains this is about 20 fps slower than 25gr of Varget in this barrel. Then I attempted RL-16 but it had to much bulk and 26 grains filled the case to the neck should junction. Hopefully if it doesn’t rain too much this weekend I can get a few loads worked up and contribute to this thread a bit! Thanks for sharing your data guys, it’s always interesting to read through! I received notice today that my 22" 6.5 twist with rifle +2" gas has shipped. that load for the 80gr is just a couple tenth over my load with 80SMKs in 20" 223. 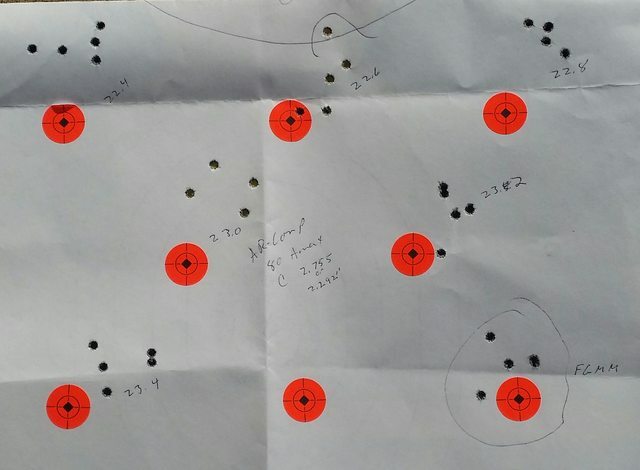 Are you finding that you need to back your load down to a lower node to get/keep it shooting? @FatBoy if you are refering to 24.6gr I did back it down to there because 25-25.2 was showing a little more pressure on my federal brass than I cared to have and after using the same brass over 4-5 times in the 25+ range I noticed the primer pockets were starting to get loose but understand most of that, I beleive came from the hotter loads, 25.5-26. So I am sticking with 24.6 for now until I have some use on the brass to compare it too. Also I hope Starline will have brass out soon and I'll have to see if it is any better with pressure. I thought this might be a fun excerise while allowing me to get some data on bullets I have not used yet in the Val. First let me define the uppers. Both wear 18" 1:7 twist, cut rifled, stainless match barrels made by Rock Creek. Both have approximately the same round count as well, +/- a hundred. Three shot averages using Varget and CCI #41 primers. 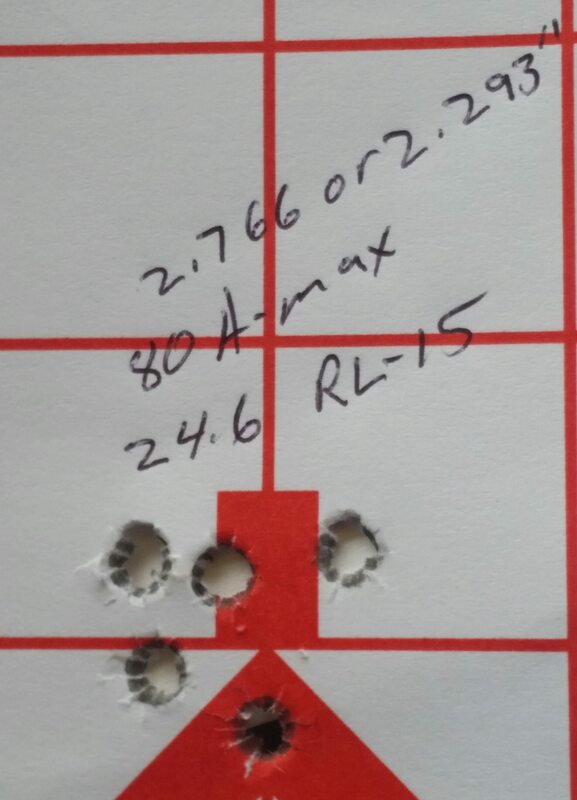 69 Nosler CC BTHP w/ 25.3gr 2820fps. 77 Sierra Match King BTHP w/ 24gr 2686fps. Moving on to the Valkyrie with the same powder charges. 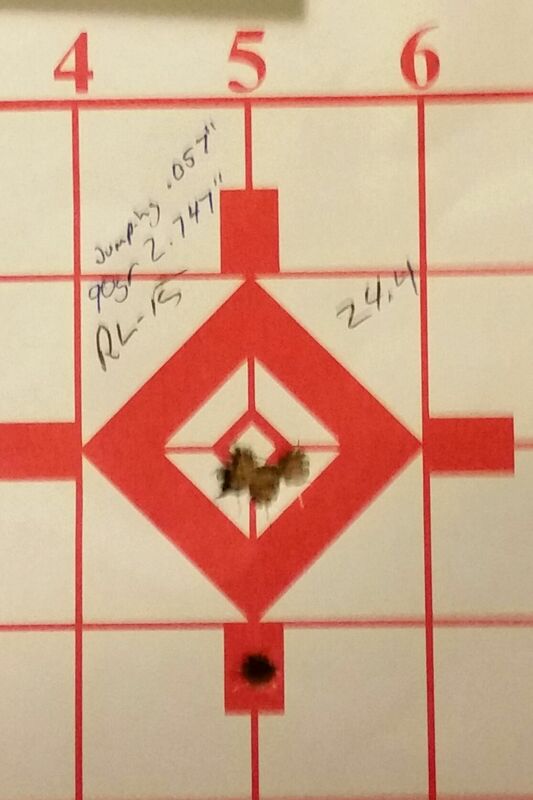 69 Nosler CC BTHP w/ 25.3gr 2790fps. 77 Sierra Match King BTHP w/ 24gr 2648fps. 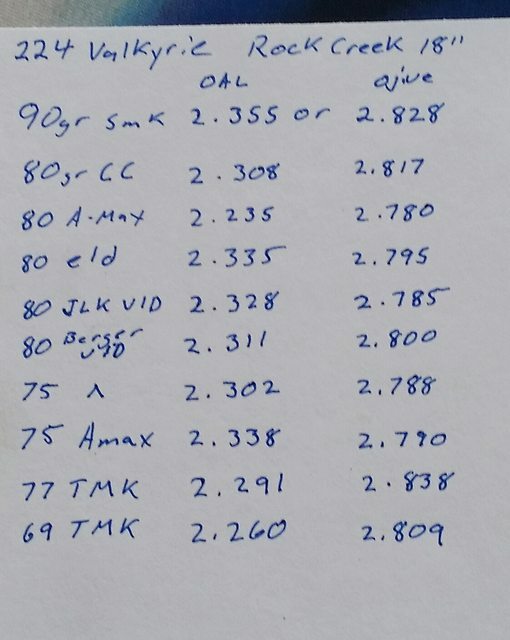 So as you can see there is 30 & 38fps difference between them with the 223 at the very top of published load data vs the valkyrie load data which can be increased a bit before reaching max published load data. I should add, both barrels were cleaned the same way as well as the ammo loaded moments before testing this. extra capacity dropped the pressure. Throat probably helped keep pressure down too. Interesting test. Was the 22" a JP? I don't recall now. Curious how it cycles with the +2 gas system. If JP sent a full upper, it will almost certainly run, and run well. Ran a few strings of test loads through the rifle late this evening after the weather cleared up a bit. Overall was pretty pleased with the results, other than the fact that I should have been a bit more thorough when going through the brass. Had some slight issues with some full length resized brass from the first batch of Federal ammo that I got that was showing signs of being overpressured, and had some brass that had some bent rims that were just barely noticeable. The next test loads I work up I will be much more stringent with brass selection, but some very light filing allowed me to get these rounds to chamber properly. 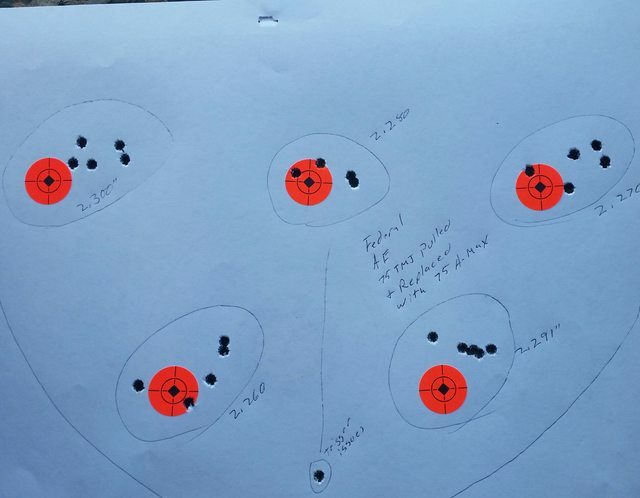 Alliant lists a max charge of 27.1 grains for the 90 SMK, but I saw no signs of pressure on any of the rounds I fired with these loads, and at 27.1 grains there is a considerable about on room south of the shoulder to bump that up a bit. Going to work some larger samples up for the next test at 1/10th increments from 26.9-27.1 and see how that goes, overall accuracy was pretty good other than the last group that I basically shot in the dark. I can't wait to see what your 22" barrel does. I just ordered a rock creek from craddock in 22. I put it together tonight, checked his work with my borecam, chamber and lead look as good as the best I've seen from known smiths. Took it out for a function test with factory 75 and 90 fgmm. I forget what speed the 75s were but the 90's were 2699 for three and I suspect like my other Bartlein barrel, it'll speed up a little after a hundred or so. Overall I'm impressed thus far. I hope to get to the range in the next couple days. I was gonna go with the Bartlein but all he had was rock creeks blanks but I think the 6.7twist will be just fine. I'd be very happy with a Rock Creek, That is actually what I was wanting but both were out of stock. The delivery dates appeared to favor Bartlien sooner at the time I ordered and that made up my mind for me. I wouldn't worry about the difference in twist. I’m planning on seeing how much room I have to play with seating depth to see if I can get rid of the slight ejector marks, how do you guys deal with slightly bent rims? I'm an Ar10 guy and I always went with an adjustable gas block to fix it. An adjustable gas block and heavier buffer if needed. I’m running an adjustable gas block 1/2 turn up from not locking back on the last round, also running an H2 buffer, the first case of ammo I got from Federal was overpressured and that is what I’m reloading now, just curious about what everyone does to straighten it out, or whether you toss it? It would appear my Craddock Chamber prefers .055-.065" jump on the 90 smk. How did the primers seat in the Starline compared to federal? Primets seated significantly tighter than Federal brass. Also, unlike federal, this load showed no ejector marks at all on the headstamp. I plan to post all my reload data as well once my barrel gets in. I also got a rock creek from craddock, but i got a 24inch (it should be shipping within the next 7 days). I will start with varget in sierra 90 mkbt. I also plan to get a pack of th e88gr eld match projectiles as well. With everything ive seen on this thread so far, it seems like RL-15 is a better choice to go with but like fatboy, i LOVE varget. IF i can use varget accurately in a rifle, i will choose that over other powders just for the simple fact it works with a LOT. Glad i am not the only one planning to do some testing on different hand loads. Hopefully between all of us we can find a solid load that will work for most cases. There is a 2000yd range close to me so i plan to push the cartrige to the limit once i have a solid load figured out to see what the true accuracy range is. I located some RL-17 over the weekend and placed an order for 95 grain SMK's... I should have some data for you all in the next couple weeks.